The who's who of the showbiz world is going to be seen in attendance. 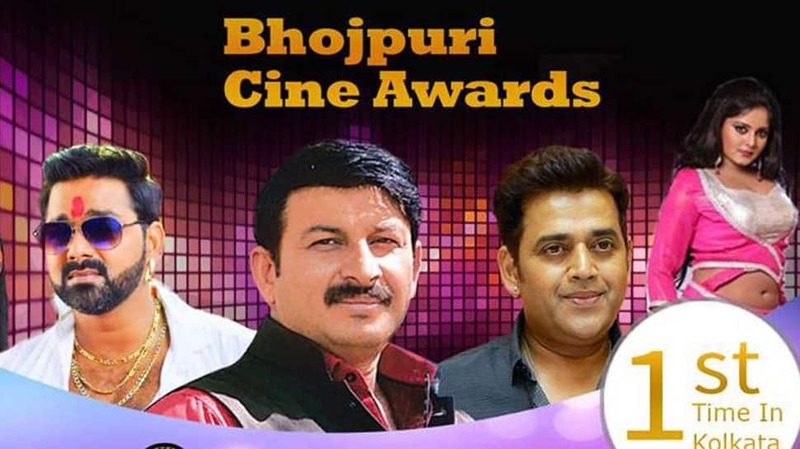 New Delhi: Bhojpuri film industry is ready to witness its biggest awards nights—Screen and Stage Bhojpuri Cine Awards in Kolkata's Netaji Indoor Stadium. The who's who of the showbiz world is going to be seen in attendance. From Ravi Kishan, Pawan Singh, Dinesh Lal Yadav aka Nirahua, Amrapali Dubey to Khesari Lal Yadav, Anjana Singh, Akshara Singh etc—all are going to make their presence felt. The show is being organised by Arun Ojha and Vikas Singh Veerappan. Bhojpuri film industry's two biggies--Manoj Tiwari and Ravi Kishan will two guest performers. Several actors will be given top honours and the audience will get to enjoy some enthralling performances. Bhojpuri stars practised hard to ace their stage performances for the awards night. Here's a glimpse of Poonam Dubey's scintillating dance rehearsal video. She will be performing on the song tonight. Not many know but Bhojpuri film industry churns out around 70-80 films each year. It is currently undergoing revival and filmmakers are experimenting with various genres. Besides actors such as Pawan Singh, Ravi Kishan and Manoj Tiwari, around 150 technicians will be present in Kolkata to make this night a memorable one. The starry event is going to kickstart at 4 pm, Netaji Indoor Stadium. This is the first time that the event is taking place in Kolkata.